What Does GDPR Mean for Global Data Protection? 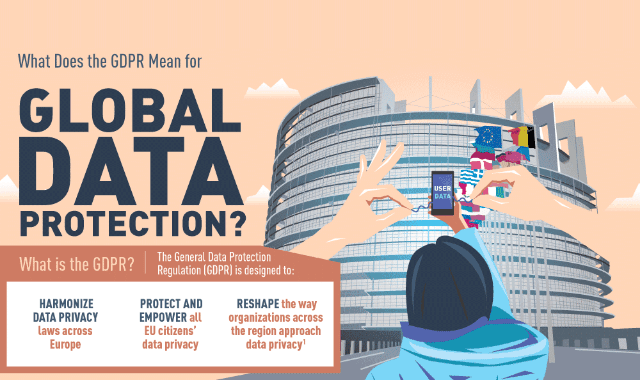 #Infographic ~ Visualistan '+g+"
The European Union passed the General Data Protection Regulation in 2016 and the regulations take effect in 2018. The biggest change here is that the new law, which protects the personal data of EU citizens, is enforceable worldwide regardless of the geographic location of the data collecting entity. It carries penalties as high as €20 million or 4% of global annual turnover. And most businesses aren’t ready for it. Currently in the United States alone, only 77% of businesses have even begun preparing for the GDPR to take effect next year, and only 6% of U.S. businesses are completely ready for the privacy law to go into effect. Some companies will even need to appoint a specialist to oversee compliance with these regulations, a job for which there are few qualified applicants and as many as 28,000 job openings worldwide. Learn more about some of the most strict consumer protection laws, the GDPR, to ever be enacted from this infographic.